Do these sound familiar to you? As writers, do you find that it’s all or nothing when it comes to your writing? People who have been reading my other blog Relentless over the years can see that I tend to write in spurts, and can either publish a number of posts in a relatively short period of time, or my blog comes to resemble the literary equivalent of an abandoned Old West town, with spinifex rolling across the screen. I recently attended some workshops at the Perth Writer’s Festival and found just being in a room of writers was enough to get my writing mojo back. I have been thinking about what inspires me as a blogger so here are my top tips for unblocking bloggers block. 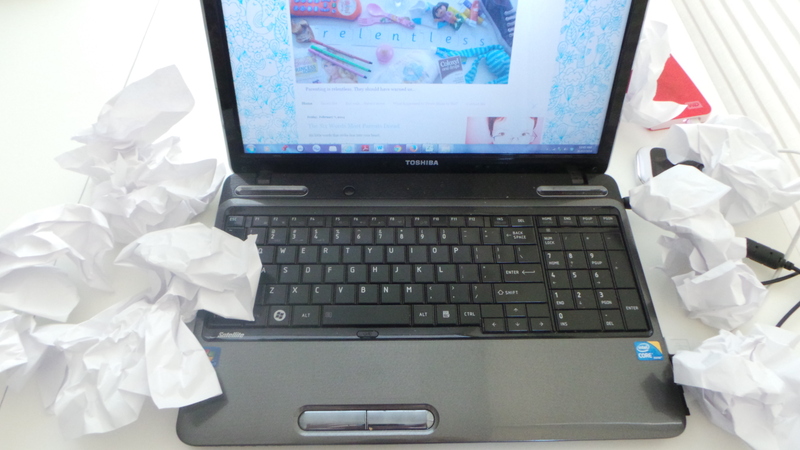 If you’re a novelist, click here for my top tips for unblocking writers block. When things are going well and the ideas are coming thick and fast, write them down. Keep a single book with all your writing ideas, even if you write in different genres. When times are good you probably won’t have enough hours in the day to act on everything, so leave them (with sufficient details and notes) so that when you are blocked you can go back and look at previous ideas. Look through your stats and see what has been popular in the past. What have been your five most read posts? Try and figure out what was special about those pieces – what made them resonate with readers? Was it the content or the format? Was it funny or thought-provoking, controversial or sad. Find what your readers respond to and write more like that. Sometimes the answers for future posts can be found in your readers’ comments. See what people have responded to, and find out if they have asked any questions about you or your post. Similarly, why not write a follow-up post about one of your popular articles or a Part II, like this follow-up to The Brutal Truth About the Third Child which ended up winning a writing competition at Parent Express. If you have an idea for a post but for whatever reason it’s not working try changing perspective. Perhaps you always write from the first person, but this time it’s not flowing. Pretend to be your child, your dog or a stranger writing about the same thing. If you can’t change perspective then play with the format – rather than a straight story from your own point of view, write a letter or make a list. ‘Top 10 reasons why…’ posts tend to be popular as well as any list article that claims to be the ‘best of’. Most blogging platforms offer easy stats programs which will tell you what search terms people have used before ending up on your blog. For Relentless at the moment they tend to be terms like: ‘advice on having baby number 3’, ‘planning for baby number 3’, ‘should I have a third child’ and my favourite ‘how should I tell my husband we’re having baby number 3’ (while offering him a stiff drink, dear). While it is interesting to find out what random terms brought people to your blog by mistake, it is also a great tool to see what your readership are actively searching for. Why not offer them what they are looking for. Based on the search terms people use before they come across Relentless I could easily write a series of posts dedicated to specific questions about having three kids: “How to tell your husband you want three kids”, “What happens when you want three kids and he doesn’t” or “How to prepare for the third child”. All really good ideas I don’t have time for right now, so I will write them in my ideas book (see point 1). There is no copyright on ideas, I was told once during a writing workshop. While I wouldn’t advocate merely pinching someone’s idea carte blanche (that’s boring), I certainly think that finding inspiration in other writers’ posts is fair game. When you read something that makes you feel happy/sad/angry/motivated ask yourself WHY did this evoke such a reaction? Now figure out how you can take that reaction and write your own post. Have they left any part of this story untold? Is there another side of the story? Could you tell your own version? Sometimes it might be the title of the post that strikes a chord: write it in your book, give it some times to marinate and then begin your own post. It might (and should) be an entirely different article than the one from which you got your inspiration, but now at least you’re over your bloggers block. What other ideas do you have for overcoming bloggers block? Sometimes all a writer has is their name. And sometimes they don’t even have that. Words are intangible. When you speak them, they do not last. They can be misheard, or forgotten, or misquoted. They can be claimed by someone else. When you write online as I do, it is easy for your words to be separated from your name. Not long after I wrote The Brutal Truth About the Third Child, a post about the differences between my three different pregnancies, a friend sent me an email with the comment ‘here’s a really funny story about having three kids, I thought you might like it’. I did like it. I wrote it. She had been sent an email with the body of my post cut out of my blog, and she had simply forwarded it to me. I am sure that whoever did the initial cutting and pasting did not mean anything malicious by it, indeed, they must have enjoyed my writing enough to send it to friends. But they had removed my name from the piece, and therefore took the one thing that linked me to my words. Watching the stats for that one post, as it went a bit viral and bounced around the net, I was stunned by the numbers of people who were clicking on my blog to read that post. But I was equally stunned by the fact that the numbers were not changing significantly on the hundreds of other posts on my blog. Didn’t they like me? Why weren’t they sticking around and following my blog? It has taken me a while to realise that – with a few exceptions – readers don’t care about the writers. They care about words, they care about stories and how they make them feel, but they don’t really care about the person who put they words together. I prove this to myself almost every day when someone sends me a link or shares a post, which I then click on and read, laugh or frown or weep, and then click away again. I might click ‘like’ or share the post, but rarely do I stay to poke around the blog. Why? My time is short, my attention span limited, and sometimes I can see that the post is not reflective of the rest of the blog. For whatever reason, it seems it is the individual piece of writing that has life and is important, not the individual who wrote it. As someone who writes for a living, this has been a bitter pill to swallow. While there are beloved family and friends who will read whatever you write because you are you, they tend to be the exception, rather than the rule. So this is why I feel that having your name attached to your writing is important. It might be an exercise in futility because of everything I just mentioned, but every now and then, someone will see your name and begin to associate your words with a person, and a relationship is forged. So why is it then, that everyone keeps getting my name wrong? The first time I was published in the newspaper, having won a short story competition, my name was written as Shannon Meyerkor. Then, when I published an article about having a caesarean section in Offspring, a national parenting and lifestyle magazine, I was credited in the front of the magazine as Shannon Meyerkart. Most recently, in a story in the Sunday Times where I was interviewed about my article about share food etiquette, the caption under the photo has me as Shannon Merykort. I have to admit, I like Merykort the most so far. It makes me sound happy. When I read stories to my children before bed, I make certain I always read out the name of the author and illustrator after I read the title. It is their link to the stories that make my children happy, and I want them to understand that a person somewhere, behind a computer, has put these words together: it is their livelihood, it is their talent, it is their gift.